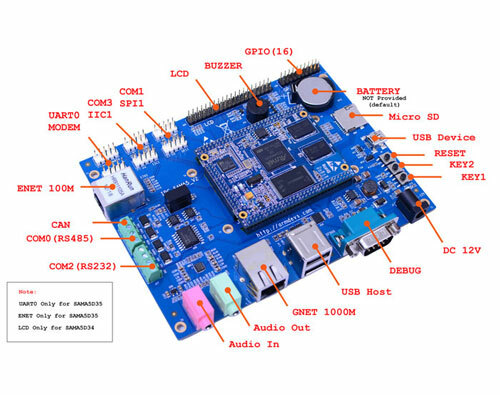 IPC-SAMA5D34 is a high-performance ATMEL SAMA5D34 industrial PC board, from Corewind design, production and distribution sales. 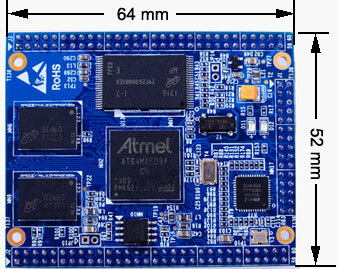 It uses ATMEL SAMA5D34 ARM Cortex-A5 processor , running at up to 536MHZ. IPC-SAMA5D34 Contain one CPU board(CM-SAMA5D34 ) and one base board(IPC-SAMA5D34 Base board). The CM-SAMA5D34 processor card has external 256MB DDR2 SDRAM, 256MB Nand Flash and 4MB SPI Flash. It Integrated one 10/100/1000 MBit/s Ethernet chips on board, and many peripherals. The IPC-SAMA5D34 is the base board for the CM-SAMA5D34. 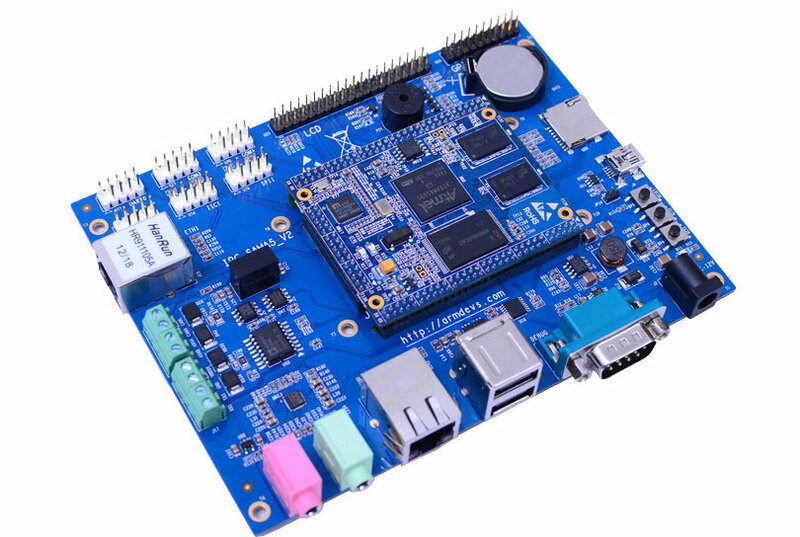 It comes with a variety of common standard interfaces, such as USB Host, SD card, DB9 serial port, RS232/RS485 Serial port, CAN Bus interface, RJ-45 1GBit Ethernet port, audio input and output ports, as well as some of the on-board resources testing devices such as buzzer, keypad, GPIO ports, etc. CoreWind offers Linux 3.6.9 and Android system for the boards. They are high-performance single board computer for industrial needs.